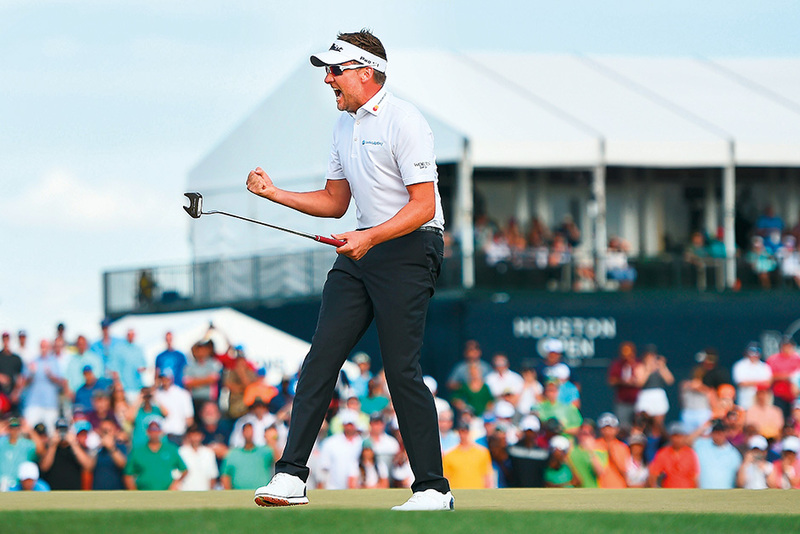 Houston: Ian Poulter resurrected his stagnant career by winning the Houston Open in a play-off on Sunday, the victory coming with an added bonus of earning the final invitation to the US Masters and throwing his hat into the ring for Europe’s Ryder Cup team. “There’s life in the old dog yet,” Poulter said after beating American Beau Hossler on the first hole of a sudden-death play-off at Golf Club of Houston. The top 50 at last Monday’s cut off earned exemption to Augusta and Poulter was so dejected after being initially misinformed he was in the Masters field that he considered skipping Houston. Fellow Englishman Justin Rose is determined to make amends for last year’s near miss at the Masters with the 37-year-old reckoning he was probably destined to lose after a lot of success in tight finishes. Rose came agonisingly close to winning for the first time at Augusta National 12 months ago before close friend Sergio Garcia pipped him to the title at the first extra hole following an intense final-round duel. Defeat was a bitter pill to swallow but Rose reckons a heartache was always around the corner after defying pressure to win the two biggest titles of his career — the 2013 US Open and a Rio Olympic gold medal in 2016. “It was really, really painful,” Rose said. “You cannot be on leaderboards at big tournaments all the time and have things go your way all the time. “So from my point of view, Olympic golf, US Open at Merion, those kind of moments had gone my way up until then. This was the first time it had gone against me and I know Sergio had suffered that many times. So it was just his time.” Rose is one of the favourites to win the first major of the year, which begins on Thursday, and he would not downplay his chances. He has surged up to fifth in the world rankings on the back of three titles in his past 11 events and racked up a staggering run of consistency. Before Sunday’s tied-52 finish at the Houston Open, Rose had posted 13 top-10 finished in 15 starts. When asked if experiences of a year ago make him more or less likely before his career ends, he replied: “More likely, definitely. “Look at how the runners-up have done in recent years. Adam Scott finished runner-up and went on to win. Jordan Spieth was runner-up the year before he won.